Aristotle said that excellence is not an act, but a habit. Aristotle is famous for saying, among other things, that excellence is not an act, but a habit. The Greek word for excellence — areté, ἀρετή — is also translated as “virtue,” so the same Aristotelian quote is sometimes rendered virtue is not an act but a habit. These variant translations are justified, as they point to the close interrelationship between excellence and virtue in Aristotle. Kim Jong-il impoverished his people and left the world a worse place than he found it. 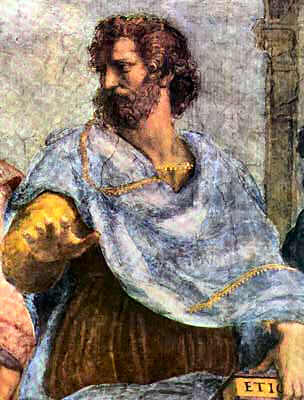 Aristotle was a common sense philosopher before there was any such thing as common sense philosophy, and his moral psychology is equally commonsensical. Aristotle maintained that people enjoy doing the things that they are good at doing, and so people make an effort at getting good at doing certain things so that they can enjoy these activities all the more. I think that this is largely correct. The elder Kim looking frail a few months before dying; the younger Kim Jong-un, heir apparent, looking scared. It would not be overstating the case to say that many individuals actively seek out opportunities for cultivating excellence. These opportunities can vary dramatically from place to place and time to time. Certain socio-economic systems will be richer in opportunities for certain kinds of excellence, so we find excellence unevenly distributed across history and geography. 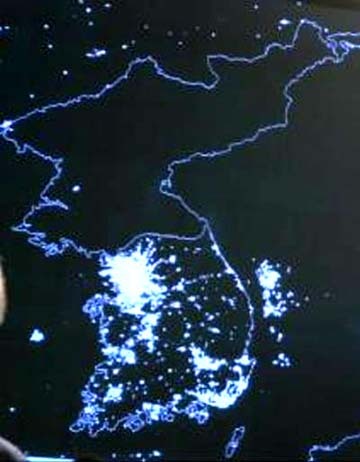 The blackout of North Korea is both literal and metaphorical. If it was not the Hermit Kingdom in the past, under its communist autocrats it certainly has become a Hermit Kingdom today. If Aristotle’s moral psychology is more or less correct, it would then stand to reason that we will find excellence-seeking individuals at all times and places, so that these efforts toward excellence are likely to be directed into whatever channels happen to be available. 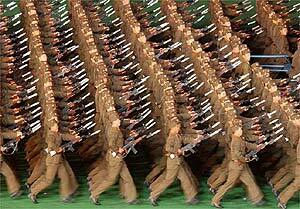 They know how to goosestep in the DPRK. 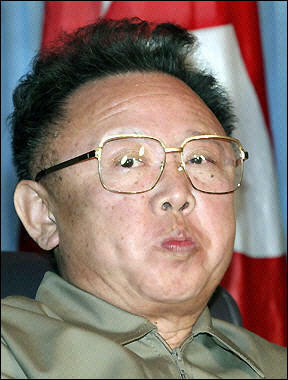 Today the news has brought word that Kim Jong-il, the North Korean despot, has died. 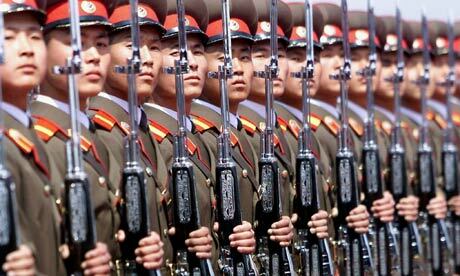 I have written repeatedly about Kim Jong-il and North Korea, as these provide a radical example of state failure. Even while North Korea is the paradigm case of a failed state, there is a sense in which its rulers have chosen to rule over just such a failed state, though we usually think of failure as an accident. This is failure by design. But what then is the design? In a word: the military. While the Kim family has been the despotic focus of attention in North Korea, the country is really ruled by the military. 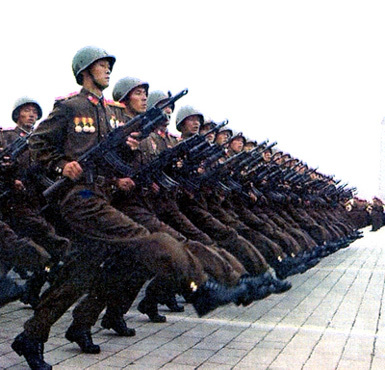 And while it is often reported that North Korea maintains an enormous military of a million men under arms, it is rarely reported how the North Korean military is not merely large, but is also an innovative, aggressive, and essentially meritocratic institution (assuming you also know to say the right thing and not say the wrong thing). 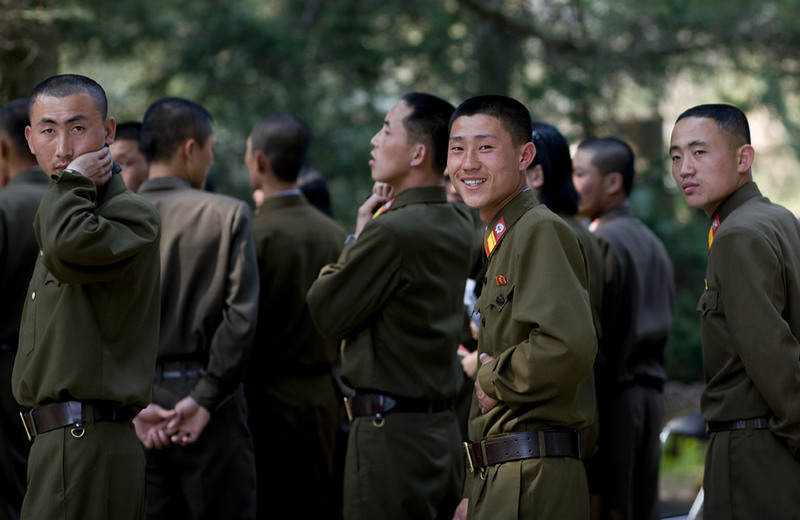 Sometimes dictators will create a bloated military of conscripts for bragging rights, but this does not accurately describe the North Korean military. 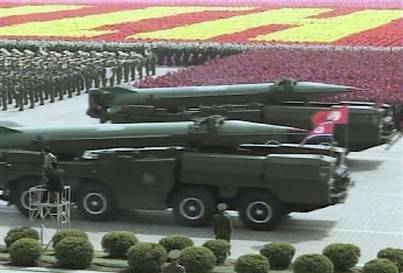 People who study such things say that the North Korean military is an impressive institution in terms of its discipline, organization, and training. While they cannot count on having the most advanced technology and the most sophisticated weapons systems, they can train relentlessly and by all reports they do. Knowing this to be the case, I would guess that one of the few opportunities to pursue excellence in North Korea would be by way of entering the military. Another opportunity would be to be a gymnast, dancer, or other performer in the enormous spectacles that were staged for the “Dear Leader.” Those are narrow options, but in the nation-state in which saying the wrong thing can mean a life sentence to the gulag for you and your family, it is best not to even try to pursue excellence in literature, art, entertainment, or anything else that might “send a message” and therefore be considered dangerous or subversive. Sports are relatively safe, and we all recall how the Eastern Bloc Warsaw Pact nation-states cultivated extensive sports training programs during the Cold War. If the only (safe) outlets for a people’s pursuit of excellence is the military or sports, this is going to profoundly affect the cultural life of a country. It is also going to channel a lot of very clever and innovative people into the military who would not, under other circumstances, choose a career in the military. The talents of these intelligent men and women, indirectly conscripted through the suppression of other activities by which they might have pursued other forms of excellence, are in North Korea at the service of the military and therefore at the service of the state. These are the people who rule North Korea. 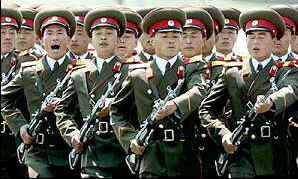 How will the military rule North Korea after the death of Kim Jong-il? Will they allow his inexperienced son, Kim Jong-un, to assume his place as a figurehead, and continue to rule the country to the greater glory of the DPRK military at the expense of all else? Some self-perpetuating institutions do exactly this; they have an overriding incentive to maintain the system that has put them in control and which disproportionately benefits them at the expense of their countrymen. There are problems, however. A military establishment of more than a million soldiers is a sufficiently large organization for factions to emerge, and for those factions to be quite large. 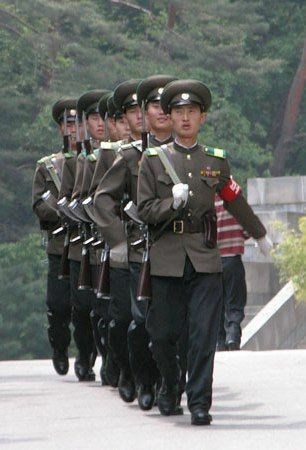 If, say, each son of Kim Jong-il could command the loyalty of a third of the army, each would still have military forces far larger than those of most nation-states. Internal power struggles have almost certainly already begun, and the issue of these struggles is not likely to be decided for months, if not years. Kim Jong-un is still quite young, and much could happen before he has any opportunity to exercise control (or for others to exercise control in his name). 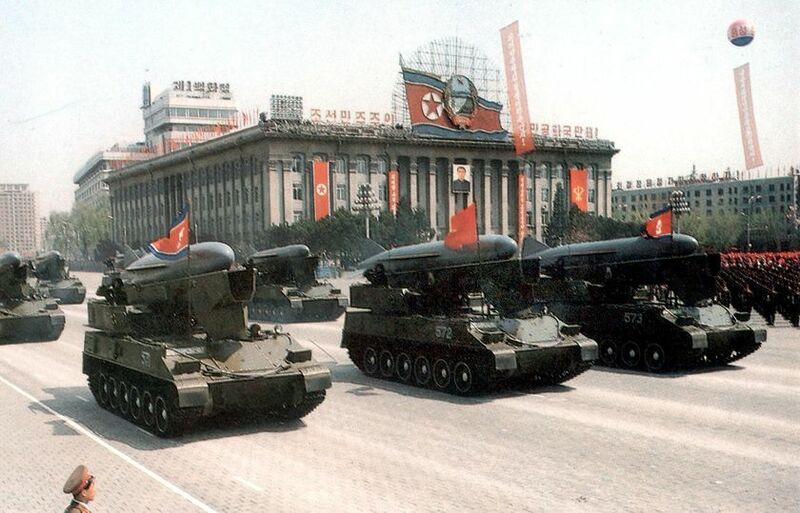 Internal power struggles in the DPRK could be an opportunity for outside powers to intervene, or to use whatever levers they have available to influence the outcome in North Korea. But China and South Korea, the geographical neighbors, will be most concerned about stability and avoiding a flood of refugees should a crisis emerge. Furthermore, China will not want to take any action that might be interpreted as condoning either interference in internal affairs or questioning the legitimacy of a one-party state, since either action could be turned around and used against China in turn.